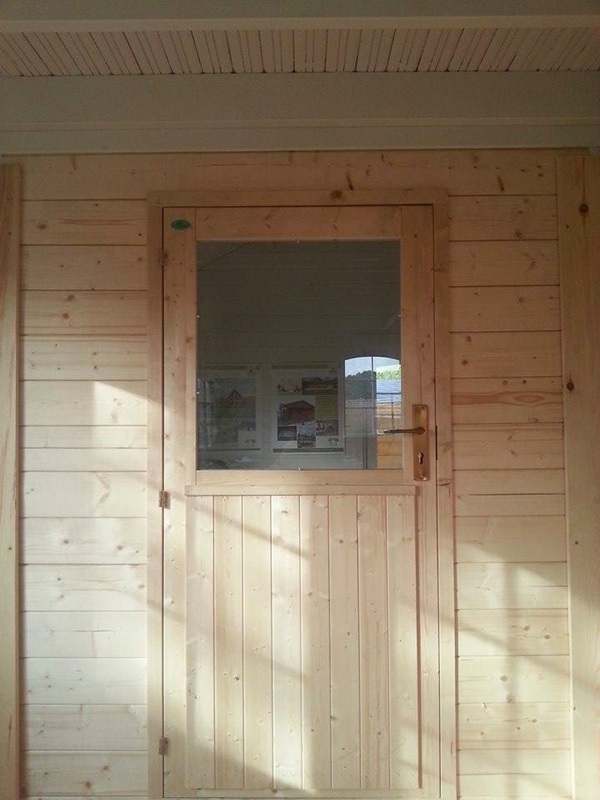 A partition wall on the inside of our cabins is becoming an ever more popular addition to our range. The adding of a partition wall opens up a variety of options that were not originally available for the cabin. 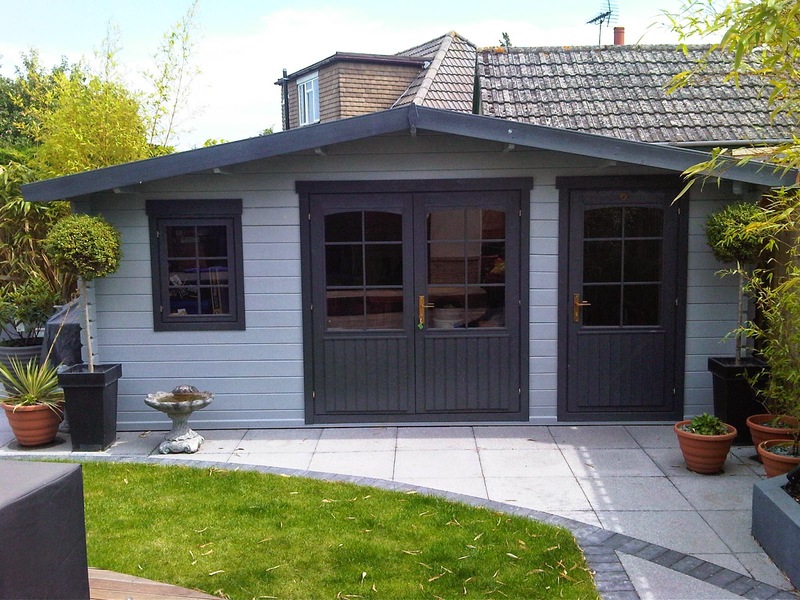 An example of this is the ability to have several rooms in one cabin, separating a tool shed from a relaxing summer house. The image on the right is an example of a partition wall we had in our corner unit at our show site. We have left a gap at the top for display purposes whilst customers cabins partitions generally run to the top. Partition walls are generally quite easy to install with a pair of runners at each end and the separating wall slotted in between. When we supply a partition wall it comes bundled with a single door as well. This is an external entrance as to keep it as separate rooms. We can also supply partition walls with internal walls if that is desired. From the information we have gathered we have come to the conclusion that partition walls are becoming a popular addition to cabins. 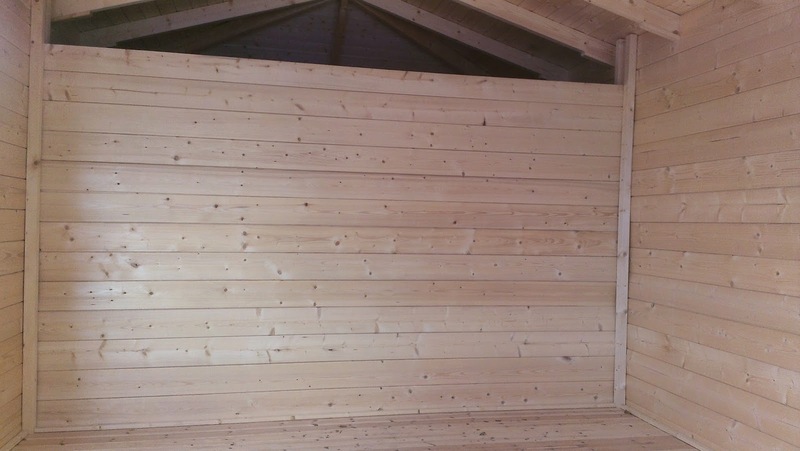 The extra wall effectively turns the cabin into a multiple room summer house.